Today's post is a fun one! I will be sharing the snacks I took on my road trip with me. Of course we stop by to get lunch but these are the snacks that we will be eating during our trip to Florida. I always try to get the healthier treats instead of getting just greasy chips and a soda (which I don't eat either). 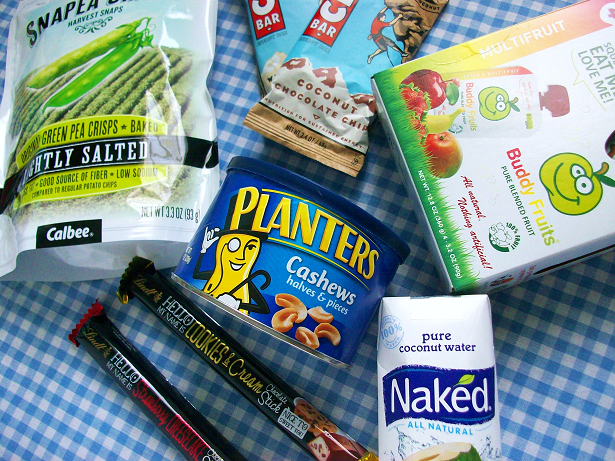 Take a look below and let me know which snacks you like to eat on long trips. 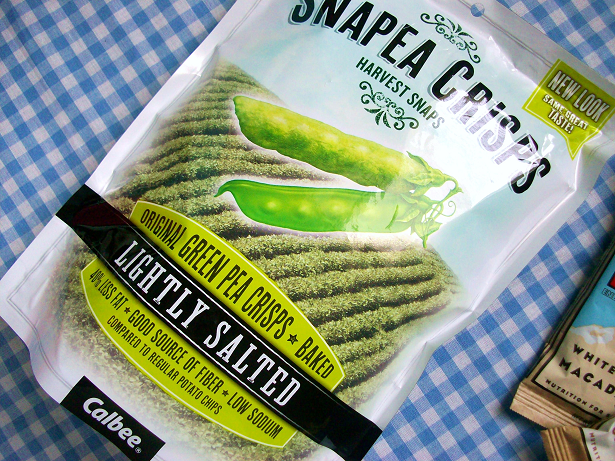 Snapea Crisps Lightly Salted: One of my favorite crisps! I would highly recommend these if you have not tried them out! You will seriously get addicted to these! 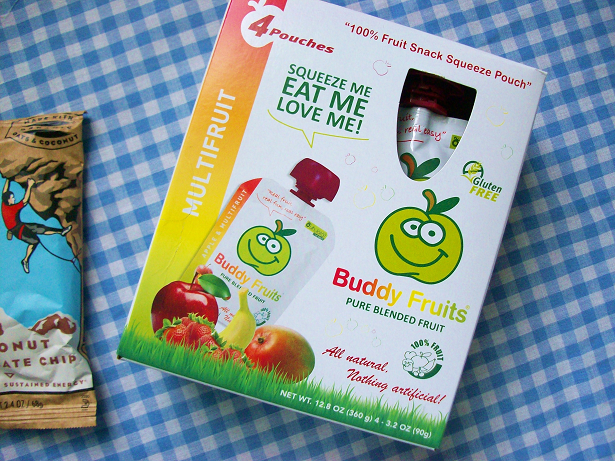 Buddy Fruits Squeezable Pouches: I think these are suppose for babies but I still grab a few each time I go to the grocery store. They are blended fruit in a easy travel friendly pouch. I especially love the ones with coconut milk! 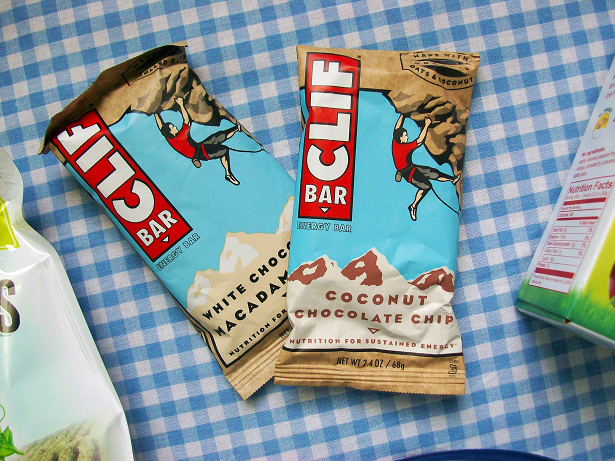 CLIF Energy Bars in White Chocolate Macadamia and Coconut Chocolate Chip: Energy bars are a must have for me when I'm traveling. Since I am going to be in the car the majority of the trip these bars help me stay up instead of sleeping through the whole trip. 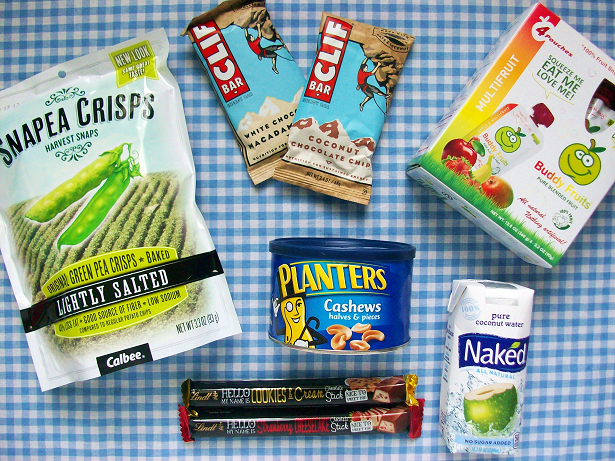 These are my first CLIF bars but I heard they're really delicious! 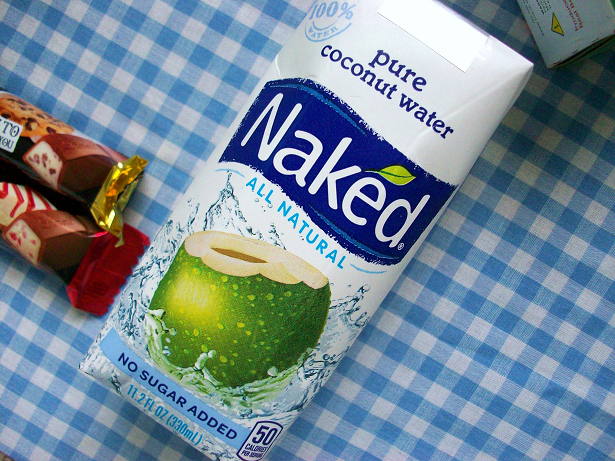 Naked Pure Coconut Water: I'm still pretty new to coconut water but I'm going to force myself to like it because of the nutritional benefits! 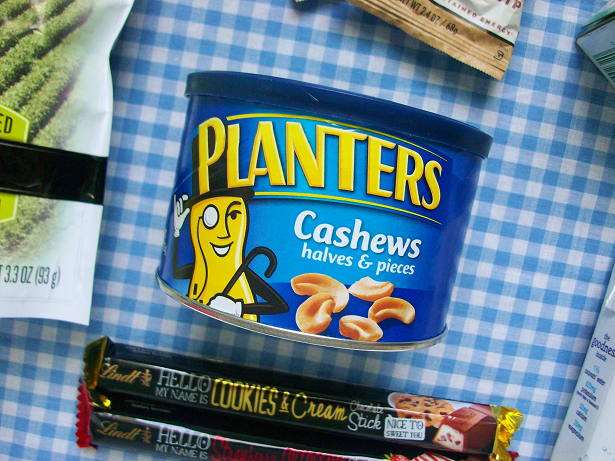 Planters Cashews: I love cashews so of course I have to get myself a container of them! 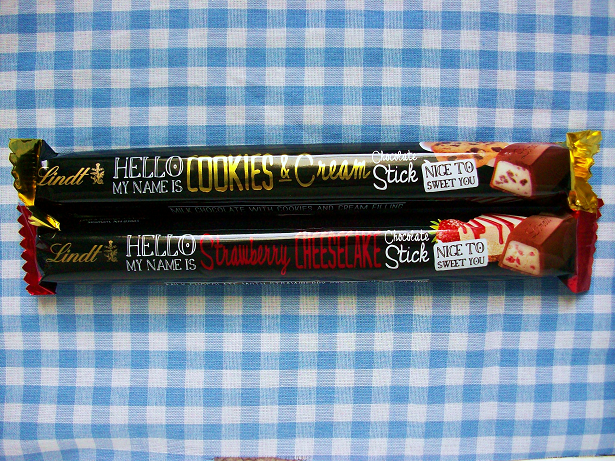 Lindt Chocolate Sticks in Cookies and Cream and Strawberry Cheesecake: Probably the most unhealthiest thing in my snack bag are these chocolate sticks by Lindt. I saw these at Target and me and my sisters all got a different flavor. I choose the strawberry cheesecake and my younger sister choose the cookies and cream one but she promised me she would share some of hers with me. What do you guys normally eat on road trips?